I like colours which reminds me of the ocean...light, airy and a part of my Nordic upbringing I suppose. In fact along the years as we moved, we always seemed to decorate our living room in such a fashion although we only recently added a cat to our little family! Moving to the island we found our new home's interior walls painted white, with wall to wall light beige carpeting...The exterior was an ugly beige yellow with green trimmings, the first to go albeit it took 3 years to convince my family! It is now in different shades of blue with white trim. It took 4 years to paint our (brown) kitchen cabinets the colour of the sky, our bathroom a warm aqua and our bedroom a lovely shade of lavender. All this meant patience and careful consideration but the results was well worth waiting for! Our budget only called for a fresh coat of paint but how refreshing! So this year I came back from overseas with a treasure of white sheers from the haberdashery and patiently anticipated the next phase in my ever dream scheme: painting our living room/dining room area. Deciding on the perfect colour was easy: a neighbour and close friend was redecorating his bedroom and came up with a sample we could both agree on: we chose Antique copper. I discovered Blue Cloud, a colour I can live with for the vestibule and trim and voila! With the raining season here soon to be followed by winter, it remains for us to decide on a pattern for curtains and perhaps a few accessories such as pillows for the living room and even a new chandelier for our dining room. I came to the conclusion ocean colours compliments earth tone wonderfully thus allowing both of us to have our ways yet feel comfortable in our home even after 35 years of marriage. Compromise, such a little thing and yet not always easy to balance. As to the finished product, well we still have a few pictures to hang and decide how many bookshelves we will share, the best place to put the cat tree, our corgi's basket...Continuity, another vital ingredient in the balance. Okay, this is only the beginning of the season but it is not funny! Rain, rain and more rain! I never mind walking in the rain or listening to the sound of it falling on the roof but I discovered another aspect of all this humidity on the island, mildew, and I cannot abide it! It is a never ending battle, more so since our trusty dehumidifier is now defunct! It would figure since we are in dry dock and cannot leave the island either for awhile! We are told in the forecast we can expect "possible occasional" showers in the morning, 50% rain in the afternoon and 30% tonight...In other words, RAIN! Judging from our Corgi's face whilst we dress him in his rain gear each morning, the rain cannot stop too soon. I must own the only Corgi who does not like water...Poor MacIntosh! He so loves sandy beaches! I love to check out yarn whenever I have the chance and Irish yarn is one of my favourite! I do not care much for the fancy yarns offered these days and prefer the wholesome lasting skeins in earthly colours produced in smaller mills or even better by tiny cottage industries. There are always myths and lore associated with most Irish things but we know for sure that creating a Aran sweater was not a hobby but rather a very important part of Irish source of income. In fact knitting first came to Ireland in the 17th Century with Christian monks teaching the trade in poor rural communities. Aran sweaters knitted from black sheep wool (my favourite) comes in many shades depending from which sheep and region it comes from and rarely is actually black, being more heather grey, true grey or even brown. Long ago the geansais was in fact called the bridal shirt because young women knitted such a sweater to give to the one they loved. If the fisherman accepted the sweater it meant he reciprocate her love. I discovered Cushendale Mills (located in Graignamanagh, County Kilkenny) and loved their wide variety of yarns as much as the history behind it. Woolen mills have been established there since 1204 with the building of a monastery by Cistercian monks after they discovered the pure quality of the water of River Duiske. Flemish weavers brought their quality art and expertise in the 1600's and the rest is history! It is still to date a family run business offering wonderful home furnishings and fashion whilst supporting Irish sheep farmers, selecting their finest wool and producing a true natural Irish product! I like that most of all! And since I plan to knit a 6 x 6ft blanket in Aran stitches shortly, I will enjoy knitting even more knowing where it came from! Note: I was not asked to write a review about the mills and this post reflects only my opinion! With its Holiness visit to Great Britain, much is being spoken of. For many this is a very important visit, the second only in 30 years. Since it is estimated there are 1.1 billion Roman Catholics in the world, the Pope's visits are very much revered and so like many I was surprised Ireland was not included in this four day trip. Perhaps a future trip will be planned just for Ireland. I found an interesting factor about a little Irish town known as Kilfenora in County Clare. It is said the Pope is in fact also the Bishop of Kilfenora. "Kilfenora's history goes back thousands of years. It was the site of an important early monastic settlement; St. Fachtna founded an Abbey here in the sixth century. Kilfenora was amonsgt the most important dioceses in Ireland in Medieval times and due to a complicated series of events of ecclesiastical history, the Catholic bishop of Kilfenora is the Pope! 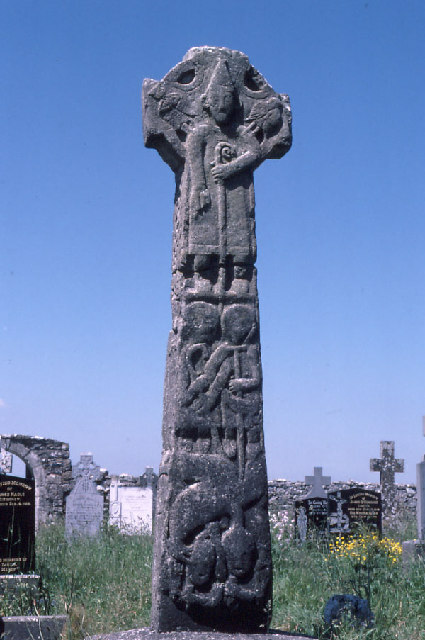 Kilfenora gained the title "City of the Crosses", a reference to the High Crosses within or near the precincts of the cathedral. It is believed that there were seven high crosses here. They are beautifully carved and date to the 9th – 10th century." Max Lucado is an excellent writer and his latest book Outlive Your Life is no exception! What sets this book apart is of course the subject: the first twelve chapters of the Book of Acts. Each chapter starts with a verse from Acts doing what Lucado does best, telling a story about you perhaps or me to include many examples of life changing messages and finishing each chapter with bible verses thought provoking yet so inspiring. In typical Lucado fashion he challenges us to get out of our comfort zone, to help those who are hurting, to look for those in need and to truly give of ourselves just as Jesus did. His message is one of hope whilst teaching us that Love, Compassion and Character are the essentials Jesus himself taught us through the example of his own life. Lucado shows us indeed that even with a limited income we can and should make a greater impact on the lives of others from the making of the tiniest of doll sizes clothing for premature babies to the stitching together of disposable pads for cancer patients. Easy to read, hard to put down, Outlive your Life by Max Lucado has the potential to change many lives and I definitively give it 5 stars. I received a free copy of Max Lucado's book from the Publisher as part of their Blogger program and I was not asked to give it a positive review. As we crossed the valley to reach our mountain hideaway we could see the harvesting in progress! All those apples...My mind thought of the pies, gosettes (turnovers) compotes and such I could prepare...I can just smell them...To the kitchen! Autumn is so near, you can feel it in the air and it is not just the bees looking for food and ready to pounce and sting the innocent! The leaves are starting to change colours, the nights are much cooler and the days seems to be getting shorter. It's my favourite season of the year! Dry dock is soon to be upon us too which means we will have no way off island unless it is an emergency. Food and other supplies (lots of books!) have been brought in and we shall enjoy every minute of the peace and quiet for a few weeks! The island is now truly ours! Summer is slowly coming to an end and there is an abundance of fruits available. Those little markets along the country roads beckons! A few days ago a good friend and neighbour brought us fresh figs and I made a lovely compote. And since we are leaving for the mountains for some relaxation I hope to pick up a bushel or two of apples. I love baking and can be on occasion very creative, something my family never complaints about! I know the house must smells like a bakery but it is such a comforting smell! Staying at our cabin for a few days means we are a bit challenged in regard to our diet since we have no refrigeration. Fruits are always on the menu, corn on the cob, bread and cheese - we keep a cooler with 2 frozen gallons of water for freshness - and of course dry and canned food. Depending on the weather we might even be able to lit up our wood cooking stove and if so I see pancakes on the menu early in the mornings! And since I have learned to like watermelon (pasteque) I discovered recently seedless watermelon! All those little seeds use to be a challenge but since it is so refreshing I was very happy to know there is such an alternative especially when I found this recipe! Once tried, I just knew this was just what I needed after a long day's work! process in blender, add water and sugar to taste. I like to steep a few pieces of fruit in a glass jar in the fruit juice to add more taste and voila! And while you enjoy this, I will be dreaming in the mountains... See you in a few days!